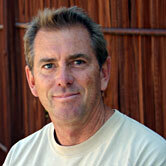 Dave Bolduan is a licensed general contractor and the General Manager of Pacific Builders of SLO. After graduating from U.C. Davis in 1980 with a B.S. in Environmental Planning and Management and a concentration in Landscape Architecture he became involved in the construction industry. He formed Pacific Builders in 1982 and actively worked in all phases of construction within the company for ten years before shifting into his current position as General Manager. Over the years, Dave embraced sustainable building techniques with a strong emphasis on recycling and energy efficiency. As a certified building inspector he has a trained eye and monitors construction techniques to ensure that Pacific Builders maintains the highest standards. Dave is dedicated to creating a quality product and believes that open communication and providing excellent service are critical components of a successful project. 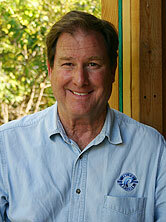 He enjoys working with people and helping them through the complicated process of building or remodeling their home. In his free time Dave can be found hiking the hills, surfing, ocean kayaking, or working in his garden. Scott Piper is our Production Manager. After building unique homes in Beverly Hills, Malibu, Bel Air and Colorado, he settled into a new position with Pacific Builders in 2000. Organized and efficient, his easy going manner and willingness help make him an asset to every project. His personal goal as Production Manager is to ensure that each and every project runs smoothly and efficiently. Over the years Scott has worked on some unusual and exciting projects. He is especially proud of one that made the cover of the July 1996 Architectural Digest magazine. When not working for Pacific Builders, Scott enjoys the outdoors and exploring the Central Coast of California. 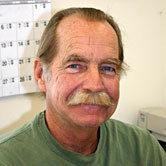 Doug Dahlquist is Pacific Builders’ Estimator and has been with us since 1986. He is a pro at taking your plans and creating an extremely detailed estimate of the costs involved for your project. Doug is a long-time county resident with three children currently attending Cal Poly. A Cal Poly graduate himself, he left with a degree in Food Technology. After a fifteen year career as a chef and a period in restaurant management, Doug chose homebuilding and remodeling as a satisfying and lasting way to contribute to the community. In his spare time Doug enjoys camping, hiking and exploring the desert. Copyright © Pacific Builders References provided on request.